I did learn about a no-cut join from Planet June for when you’re keeping the same color between rounds, and you don’t want the seam to wander off diagonally as it’s tempted to do when you work a normal join. But again, the problem was that I wanted to change colors! Compromise–the heart of every good relationship. 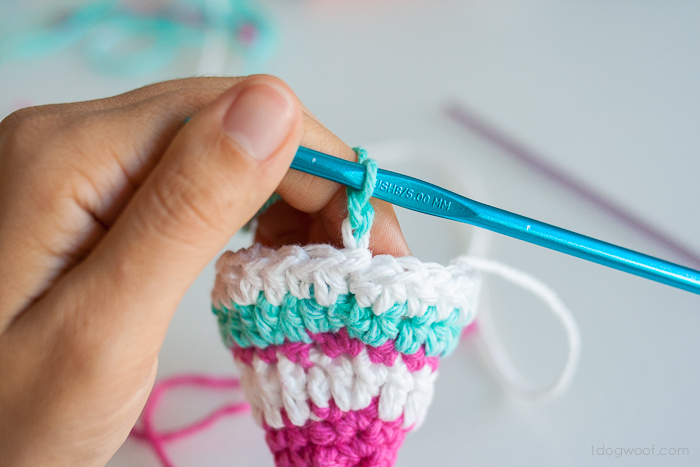 And if I wanted to keep my good relationship with my crochet hooks, I needed to find a way to crochet stripes without cutting yarn each and every time. Just thinking about it makes me wrinkle my nose. After fiddling around with my project for a bit, I thought I figured out a good compromise to get invisible stripes using a no-cut method. Truthfully, I can’t even tell in this picture where the join is. It’s easier to see in person, but not by much! Just for information, the magenta row was ended with an invisible join, and now I’m adding the aqua yarn using a standing sc. Bonus lesson: For a standing single crochet, start with a knot on your hook. 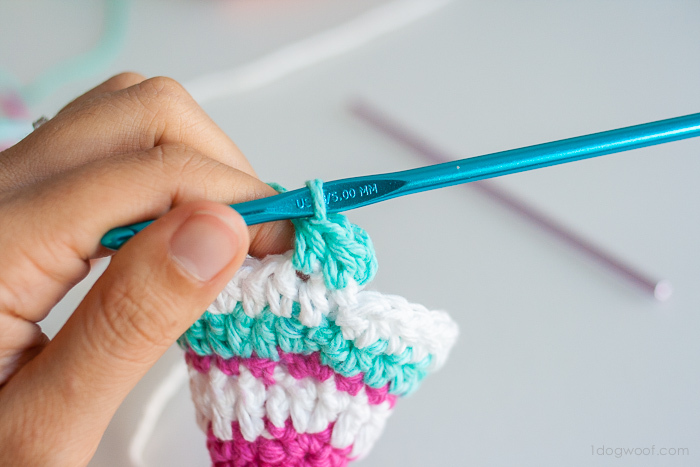 Insert hook through the project, yarn over, pull yarn through the piece and through the loop on the hook. That’s your ch 1. 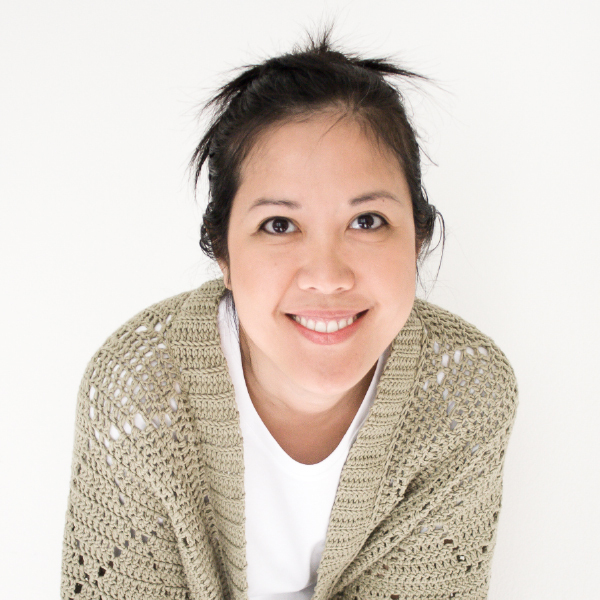 Then complete a normal single crochet. Now work whatever stitches are specified in order to complete the round. Then comes the no-cut method from Planet June, where you remove your hook, insert the hook from to front of the 1st stitch, and pull the last stitch through from front to back. 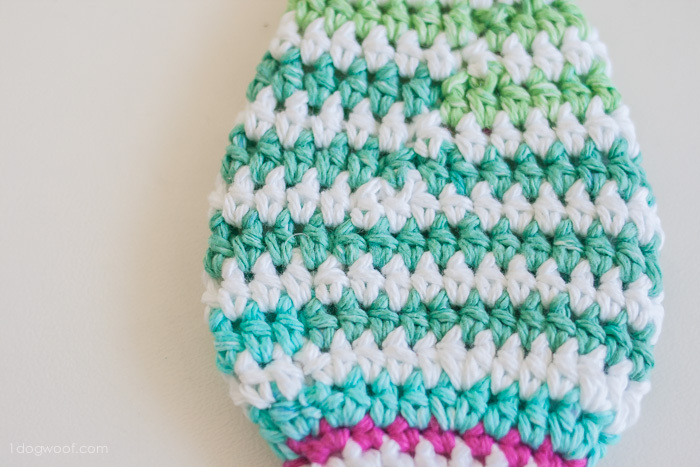 To start a new stripe with a different color, pull through a loop of your second color (white). That’s the end of the perfect stripes method. In most cases, you’ll need to ch 1 or ch 2 before starting the rest of the stitches, as specified by the pattern. Now work your specified stitches around, starting with the stitch where the color join occurs. 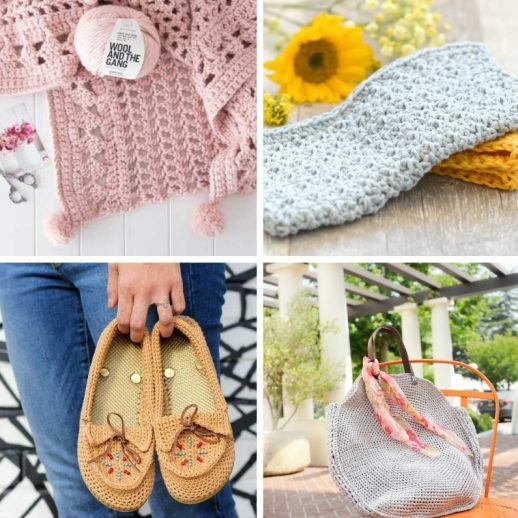 In these photos, I’m working half double crochets around. You’ll also notice that I have not cut my aqua yarn. If I pull the end of the aqua yarn, that final aqua loop and the joining of the white yarn both pretty much disappear and all you see is the first chain 1 that you made with the white yarn. Once you get to the end of the round, make the same no-cut join as before with the white yarn. Here’s the fun part. Grab a loop of the aqua yarn (that you never cut!) through the white, and make a chain. Now you’re ready to work the round in aqua. 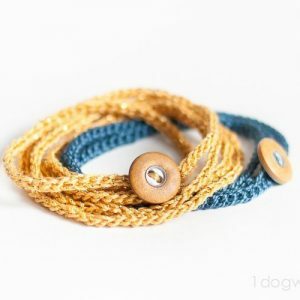 You can alternate between these colors for as long as you need stripes in your work, and you’ll only need to cut the yarn when you don’t need the yarn for stripes anymore. 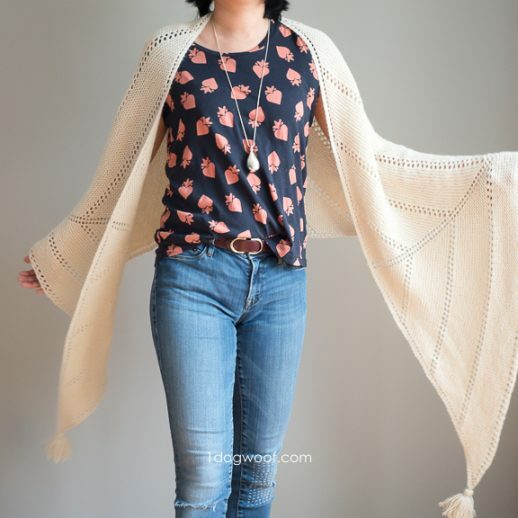 I imagine this will work for more than 2 colors as well, although the yarn may start to get a bit tangled. And that’s it! Stripes with an invisible join. In the photo, I used a multi-colored yarn, which is why it’s changing colors. And the reveal of this project is coming soon! Thank you! I avoid working in stripes because of the way the joins look. Yuk. LOL I can’t wait to try this. Thank you so much for sharing such a cool tutorial. I always end up with diagonal seams not to mention not quite invisible too … can’t wait to try ! OMG this is so awesome! I always hate joining new yarn because of how jagged it looks. This is an awesome tip! Thank you so very much, this will make my projects much easier and neater! Can’t wait to try this! 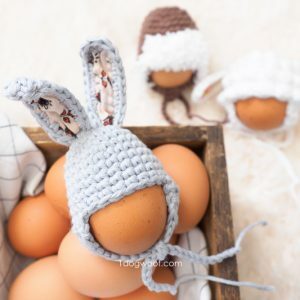 I have been crocheting for decades, and never liked how stripes were always off. 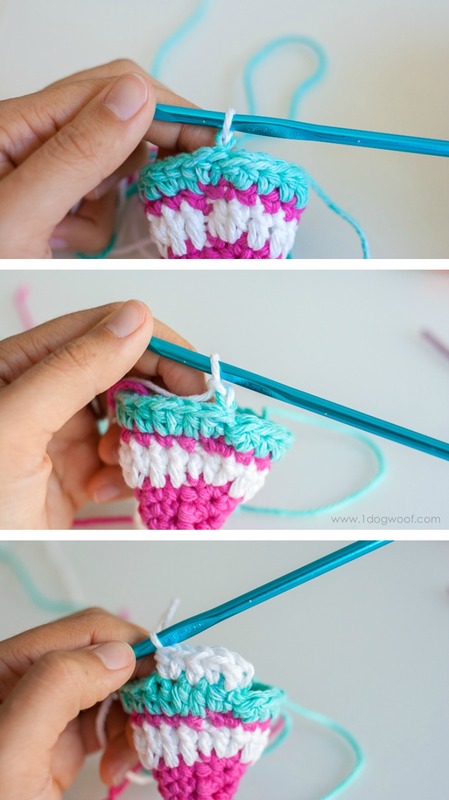 This is an awesome stitch method! Thank you so much! You are soooo smart. I just finished a striped hat with the ugly bumps. Think I’ll remake it unsung these tips. Thanks for a great idea. Sorry, I´m trying this for a couple of days now with planetjunes video but the color change it is not invisible. 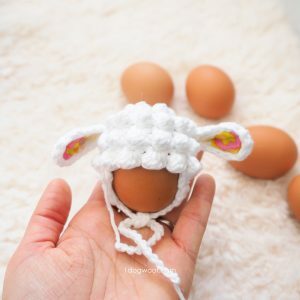 She shows it in using a very thick yarn and without increase or decrease. Your pictures a more truly result than June´s what I estimate very much. It looks alike my own work when I use this techniques. AND here in your work with the fishes you crochet PLUS increasing or decreasing. And when you crochet in spirals (Amigurumi) it means the beginnings of the rows are shifting. I don´t see how the color change can work invisible. I really tried a lot. It even looks smoother in using only the first part of June´s advice in the video. Ok I don’t get this. I tried it before and it still showed the changes. I’m gonna try it again because cutting, weaving in the ends, n starting again is awful. Do you complete the last st-Ss in the first st to join- or do you start this with the loop on your hook from the last st I’m the row? I have 6 more fish to make for a lady and I want them to look nice. Muchas gracias por tu dedicación a enseñar tus conocimientos. how come you don’t say the color when you change colors. Thank you so much. 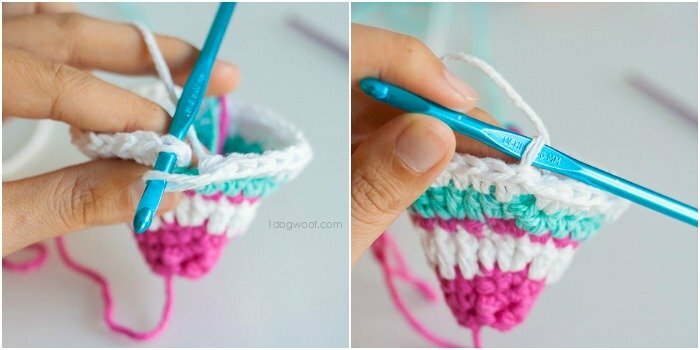 I’m going to crochet Red Hearts pattern, “Zigzag Crochet Cup Cozy”, and I was confused in what they described in the notes about changing color. When changing colors, do not cut yarn between rounds. Instead, pull up a large loop and place it in back of work. When starting a new round, tighten the loop before making the chain 1 to begin the round. Again, thank you, I’m not confused now becauce of your explanation.